In the latest windows version of ScoreCloud there has been a problem with finding audio output. Here's a work around for this problem, we're planning to release an update shortly in which this will be solved. This might solve the problem automatically, if not, continue manually by walking through the steps below. 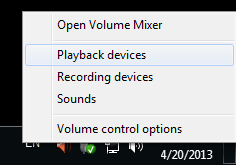 To fix the problem, you need to change the bit rate for both your Playback and Recording Devices. • Right click Speaker icon in "System Tray", next to the clock. 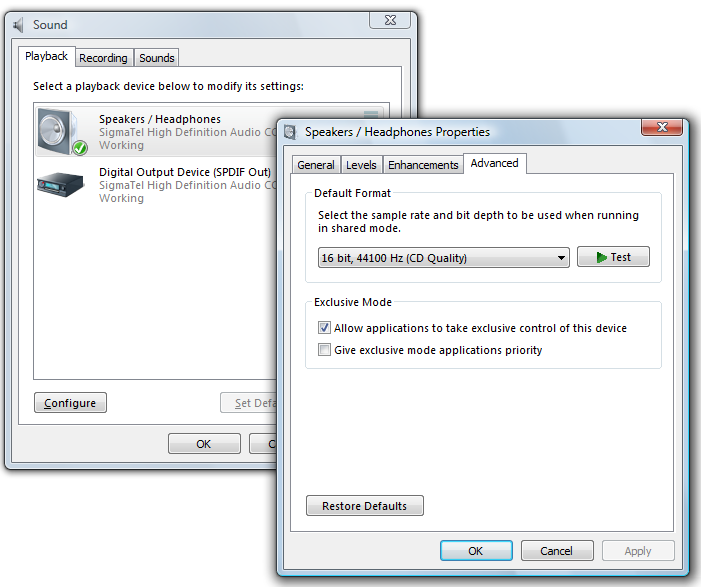 • Select Default Format: "16 bit, 44100 Hz (CD Quality)"
Thanks for the detailed reply. Unfortunately it still doesn't work. I will wait for further update. This solution didn't work to me too. I will wait for further update.